On Sunday (the day after my first half marathon!) 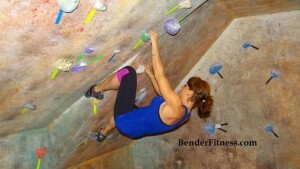 I got in a great, and different workout. 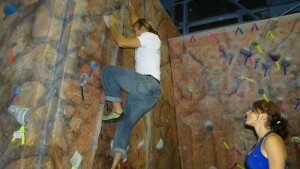 I headed to a local rock climbing gym with my friend Giles Lajevic Augustine. Giles is one of the most interesting people that I know. Jesse calls him an “International Man of Mystery.” He has found something that he loves, and he lives his life around it. 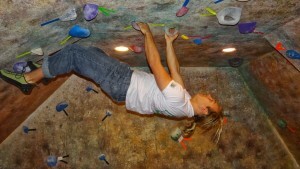 He is a world traveling skier, rock climber, film maker, writer, and all around adventurer. Remember, fitness comes in many forms. It’s good to go outside of the box and try something new (rock climbing, biking, skiing, hiking, kyacking, etc). 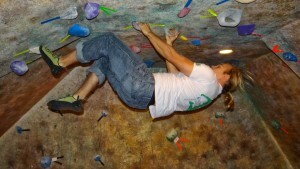 Rock climbing is incredibly challenging, requiring full body strength, endurance, and forethought. When you try it don’t be surprised if you find yourself breathing heavily and dripping sweat. 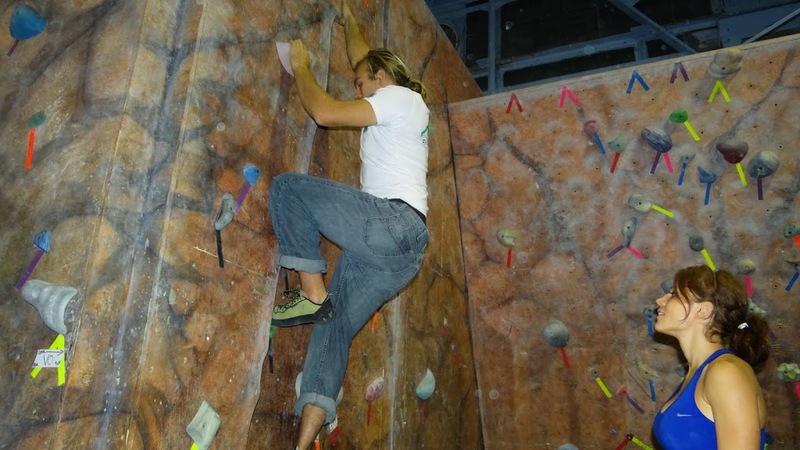 We have two rock climbing gyms locally. 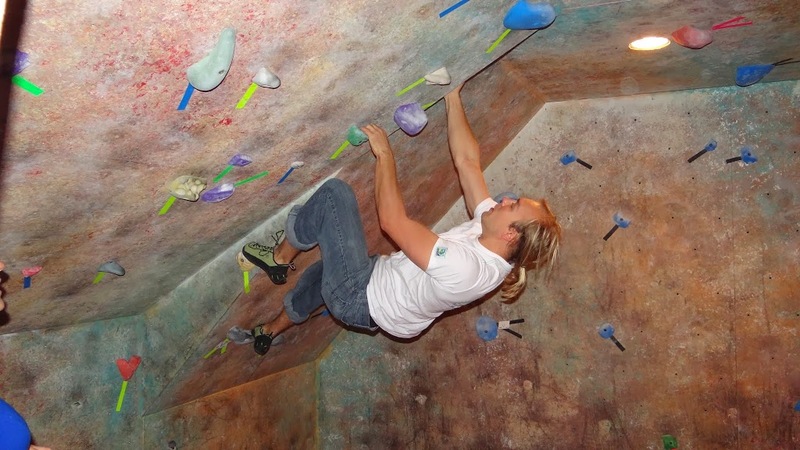 Both have bouldering areas (which do not require ropes or harnesses), and top roping courses. 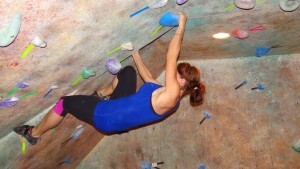 If you have a climbing gym near you I highly recommend checking it out. If you are just starting out don’t be afraid to ask for advice. 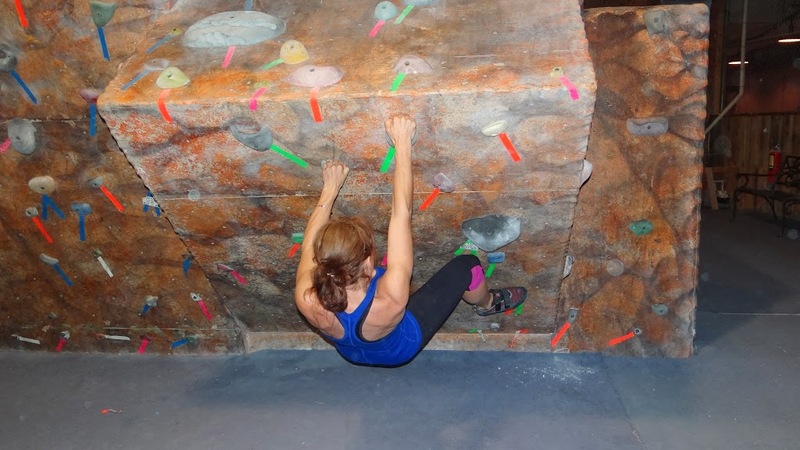 Most gyms have climbs marked for all different levels (beginner to advanced). PS You may remember Giles from his article about the Paleo diet: Walk Like a Paleolithic Ancestor.